From a farmer and writer who’s done it. If you’re looking for a way into part-time farming, you don’t need 20 acres of rolling fields located in the middle of nowhere. You might be sitting on your future farm right now — in your own suburban backyard. Every great undertaking needs a bit of planning and reflection. Take the time to do things right. Check with your local municipality. Some places may be more open to the idea than others. It helps to be a good neighbor — no chemical spraying, noisy animals or power equipment at the break of dawn. Make sure you have time for farming. A demanding corporate job may be biting off more than you can chew. It may seem unnecessary, but get legit. Unless you want to stay very informal, register as a business, get farm insurance and learn something about keeping records. Feel out the markets. Talk to some local high-end chefs about their interest in berries or stop by your local produce market to see if they want to carry the berries you’re thinking of growing. Every location has different market conditions. The possibilities are endless, but berries — especially less common berries — rank high on the list of things to grow. While they’re not the perfect crop — they require a lot of labor for harvesting, and birds can be major pests — there are many advantages. Berries command good prices. You just need to look at the produce section of your local supermarket to see the price of berries flown in from hundreds of miles away. Your stuff will be tastier, fresher and more nutritious. Depending on the berry, they can be sold fresh or frozen. This gives you huge flexibility for selling your crops. Some customers may need relatively few berries. This allows you to get into restaurants and other places that might otherwise be closed to you. Berries lend themselves to many markets. Many of these markets are high-end. If you can’t sell your berries. you’re spending a lot of time on little return. Here’s how to sell your harvest. Restaurants Approach high-end eateries, which are usually places where the chef has a lot of decision-making power. They may also love less common berries that they aren’t able to source locally. 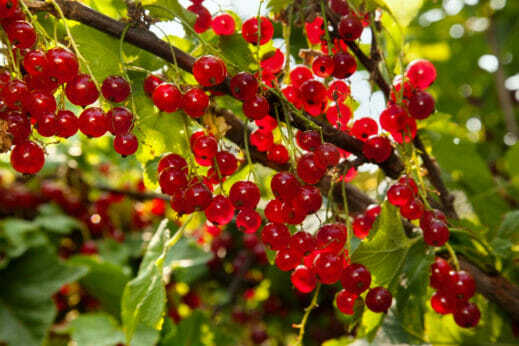 Consider offering them gooseberries, red and black currants or Haskap berries. Produce markets Produce stores should be interested in expanding their offerings of local berries, which are extremely popular these days. Consider gooseberries, red and black currants, Haskap berries, goldenberries or even some of the more conventional berries if they don’t have a good local supply. Individuals Never underestimate the power of the “old country.” Many Europeans grew up on berries that aren’t readily available here, and they will eagerly buy them. If you’re just starting out with some less common berries, consider gooseberries, red and black currants, elderberries, jostaberries or seaberries. Herbalists Herbalists can produce value-added products from your berries. The primary berry for them is elderberries. Finally, start small. Plant several types of berry plants and see which varieties do the best for you. Make sure that you enjoy the work and manage your time. Learn about local and regional markets and, as your confidence grows, you can expand your knowledge base. And from there, who knows? Maybe one day, you’ll get those 20 acres of rolling fields after all. In general, this is a great article. Though the suggestion to sell frozen berries is a bit misleading, as this is considered “processing” and comes with a bunch of legal hoops/scrutiny. Interesting material that I have read on Google.